It is written in a very informative manner and should be the go to guide on everybodys shelf. 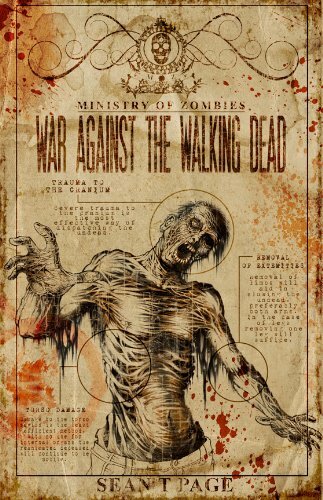 The author has included charts and diagrams and has backed everything up with words of wisdom from the Ministry of Zombies. It is written in a nice easy style and at no point did I feel it was too 'text book' for me. I enjoyed this and will certainly keep it on my shelf as THE definitive reference book when the Apocalypse hits. For anyone who would like to have all the information to survive and overcome the Zombie Apocalypse in one easy to read volume - look no further.